Five floors beneath the Chase Manhattan building lies the world's largest gold vault, now Chinese owned. Did you know that the Chinese just purchased the largest gold vault in America? This football-field sized gold vault is housed five stories beneath the streets of an iconic New York skyscraper – the Chase Manhattan Tower, which the Chinese bought along with the vault for $725 million. The building's architect has written that it was built to withstand the effects of a nuclear bomb. And it's located right next to the vault owned by the New York Fed. So why would the Chinese need such a large, secure vault on U.S. soil? Believe it or not, this and other moves the Chinese have recently made could completely wipe out your retirement assets. The Chinese have also purchased one of the most important precious metals exchanges in the world… perhaps THE most important precious metals exchange. On June 15th, 2012, the Chinese purchased the London Metals Exchange (LME) for $2.1 billion. The LME claims to do 80% of the world’s non-ferrous metals trades, the equivalent of 4.0 billion tonnes and $14.6 trillion in notional value. In doing so, China beat out NYSE Euronext (which owns the New York Stock Exchange) and Chicago's CME Group (which owns NYMEX and COMEX) in the bidding war for the 135-year-old exchange. Not only are the Chinese becoming major traders of gold, they’re becoming major owners of gold. Month after month, China is buying tons and tons of gold. In fact, they bought more gold last year than was produced in the entire world, a total of 3,200 tons when you include Shanghai Exchange deliveries, Hong Kong deliveries, and domestic production. Total worldwide production is estimated to be at 2,900 tons this year. According to the World Gold Council, China’s consumer demand for 2013 will be around 800 tons. If there were 3,200 tons delivered in China, and only 800 tons of that went to consumers, then about 2,400 tons went to the Chinese government. Clearly, you can see that the Chinese government is determined to make gold a much bigger part of their financial system in the coming years. China is under-reporting their gold holdings by a laughable amount, keeping their role in the quickly changing world order from being detected. Can you go buy any currency in the world that’s backed by any amount of gold right now? There isn’t one. But if there was, clearly, there would be huge demand for it given that most major currencies are in a race to the bottom. If the Yuan was backed by gold, it would cause a mass exodus out of the dollar, and into the Yuan. Ultimately, China wants to establish the world’s preferred currency, backed by as much gold as possible, which can eventually be integral to the world of international trade… and become the world's reserve currency one day soon. The good news is that it's going to continue to drive gold prices higher… much higher in the years to come. And it's going to make some gold investments extremely lucrative over the next few years. The bad news is that China's gold-backed currency is likely to help make the U.S. dollar much less important in the world of international trade and finance. Well, that someday is imminent – though most Americans don’t have a clue. Because the Chinese have secretly amassed so much gold, they can announce at any moment that they’ll back their currency with gold. If they do, it would cause the yuan to instantly skyrocket, and the dollar to plummet. When the dollar plummets, so will all dollar assets that are in paper form. Stocks, bonds, CD’s, and cash savings could take an immediate 30%-40% haircut. Just ask anyone who’s lived in Brazil, Argentina, Yugoslavia, Russia, Mexico, Thailand, Malaysia, South Korea, Indonesia, Greece, Iceland or Venezuela in the last 20 years. The only survivors will be those who’ve invested in hard assets like gold, silver, and real estate. And since most people are way, way under-invested in hard assets, millions of investors will lose a good portion of their retirement savings. It’s a dangerous time to be ignorant of history or complacent in the present, because your future retirement is at stake. 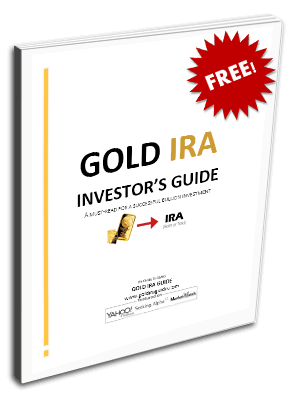 If you haven’t invested in gold yet, what are you waiting for? Fill out the form below and instantly receive more information.